James V. DiTommaso has experience with consumer fraud, class-action, and complex business litigation in both federal and state courts. Also, his practice includes family law, defamation, non-competition, and trade secret litigation. 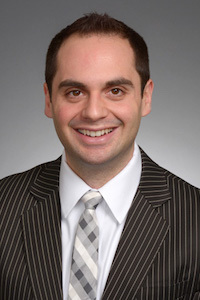 He received a JD, from Chicago-Kent College of Law in 2017 and a BFA, from the Rochester Institute of Technology in 2011. While at Chicago-Kent, he was on the Dean’s List, he was a member of the Executive Board for the Chicago-Kent Justinian Society of Lawyers, and he received a Business Law Certificate. Before joining DiTommaso, Mr. DiTommaso served as a judicial extern to Justice Thomas E. Hoffman of the Illinois Appellate Court First District Sixth Division. Mr. DiTommaso is admitted to the Illinois State Bar, the Northern District of Illinois Bar, and the Seventh Circuit Court of Appeals Bar.